Right after launching our first Kickstarter campaign, it seemed like every day there was another article about + POOL circling the web. That all seemed surreal, but paled in comparison to Jay Z blogging about it. First off, we didn’t know that he had a blog, but he does, and it’s amazing. 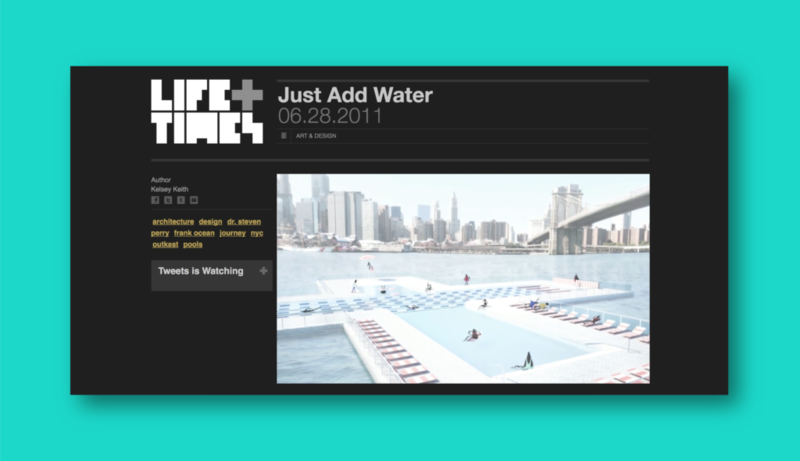 Life+Times is a digital experience covering art, sports, music, fashion and culture. “Just some inspiration,” as he says. 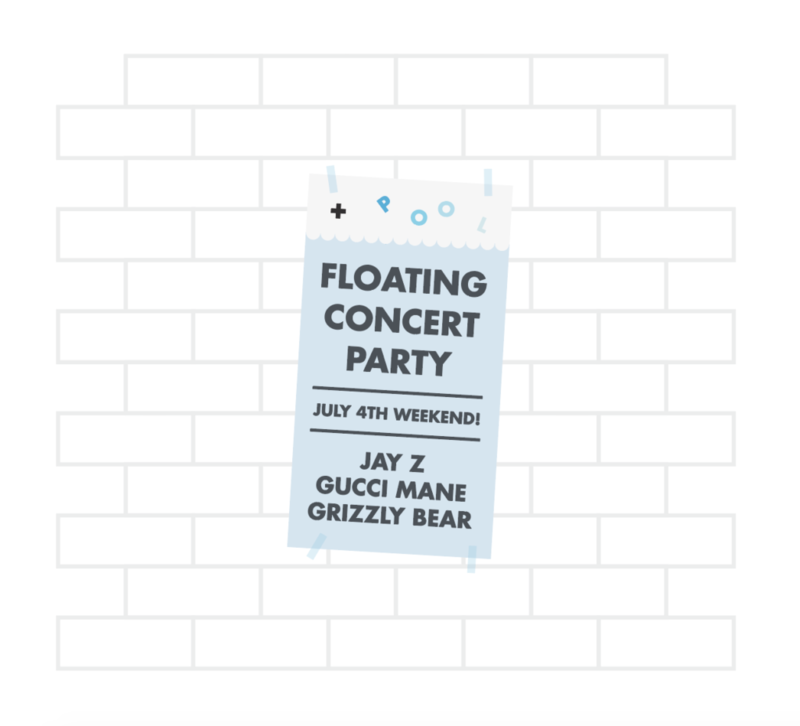 Secondly, one of the first graphics we ever made to paint the vision of + POOL was a made up poster of what the opening party would be like, and of course, Shawn Carter was on the top of the bill. A big thanks to Kelsey Keith (now editor-in-chief over at Curbed) for making it happen.